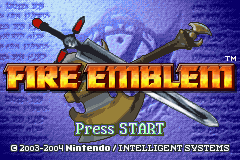 Fire Emblem is the seventh game in the series to be made, but the first released in English on American shores. You might also see it referred to as Fire Emblem: Blazing Sword or something like that. It is a very popular series in Japan, and for good reason. The developer, Intelligent Systems, are the people who brought us a the Advance Wars series (which started out strong). They also made the successful and incessantly copied puzzle game Tetris Attack/Pokemon Puzzle Challenge/Planet Puzzle League (same mechanic each). 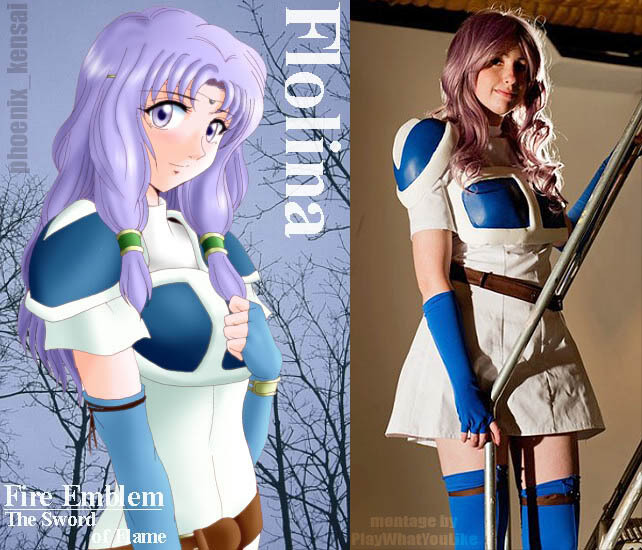 Fire Emblem gives you a large and diverse cast. Additionally, unlike most SRPGs you can take a good many of them into battle at once. Up to around 14 in your party. So battles are long strategic affairs. You move your crew slowly and cautiously over large spaces populated both densely and sparsely. The game is a deep, detailed and large game, do not be fooled by its presence on the GBA. There is much more to be said and experienced about it than I will mention below. However I will cover points important from my unique perspective, and with some small bits of humor. The battle layout of Fire Emblem is more or less a top down upon a 2D playing field. The environment art provides the illusion of slight 3D. 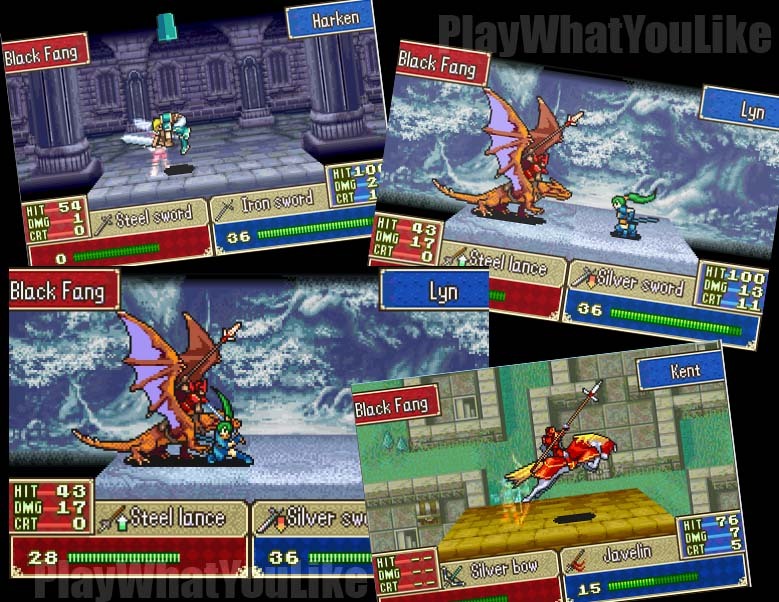 Gameplay is measured out on a square grid and almost all attack ranges are within two squares. You can move all members of your team in any order during your turn. Combat Hierarchy Triforce – er, Triangle: A staple of the series. Sword beats axe; axe beat lance; lance beats sword. A triangle if you will, and the impetus for many hours of strategic decisions. Such a simple mechanic, but well executed. Not too dogmatic either, in that a skilled swordsman can still beat an lance wielder. It just requires more skill and is chancier. You are Conceited: Your role in the game is the conceit that you are an unnamed tactician. You are seen briefly in the overhead view from time to time. It actually works quite well and succeeds in injecting the player into the story. You are needed and thanked personally by the characters who also give you respect. This greatly adds to resonance with the game. Knight-time MP3s: Sweeping is an apt word for the music. The large orchestral sounding tracks really transport you. The smaller character/situation based tunes are at times fun, creepy and sad. The music will enhance your gameplay, and some of you may be inclined to continue listening to it afterward. Difficulty Delayed: After the opening prologue battles, you have an opportunity to set the difficulty level. A good idea which gives the player a chance to know what they are getting into first. Moving Pixels: The battle animations are excellent and interesting. Especially the critical hits. For example the main female sword wielding hero has a special which shows her blurring into multiple images then zooming in a streak to strike numerous slicing blows. Much fun. Talking Heads: The conversations were handled well. Entertaining yet so simple. It is amazing how much can be communicated with portraits, positioning, sound effects and shaking. It was a system handled with care commensurate with the quality of the story. Sealed for your Protection: Characters gained attributes through experience, but class upgraded through the use of “seals”. Main classes had special seals just for them. The Earth Seal promoted any non-lord character, and the Heaven Seal promoted one of your three main lords. Seals were granted by game progress, but not enough for everybody. You customized your crew your way by choosing who gets one. Your best units had to survive a dangerous field of lightning bolts in order to class up. Over the Top Sound Effects: Intelligent Systems built a fine library and used it well. In conjunction with some of the special attacks as described above, it can be quite entertaining. Magic attacks and blocks too. There were not a ton of sounds but the ones included were well executed. End over End: Two mechanisms gave the ending poignancy. One was the rundown on all your characters and the resolution of their personal stories. After all you spent much time with them leading to interest in this area. The second mechanism was the “15 years later” glimpse. This method also seen in Grandia and Vandal hearts was cathartic and really helped wrap up the story. How did they fit so much story content into such a small cartridge? Additionally, just having a lot of story is not enough. It has to be delivered in an understandable and entertaining way. Fire Emblem did not lack on this front and even included welcome side quests. It is a sweeping epic with optional prologue stories depending on the hero character with whom you choose to start. You will find yourself quickly investing in the trials of these people. You will likely resonate with at least two of the three heroes, and at least half the supporting cast. That is not a bad score. One of my favorite things was the chapter transitions. Beating the final battle in a chapter opens a world map and starts sweeping music. The arrow moves across the screen while text fills you in on what is happening. The music, simple but fitting camera work and brevity of these interludes enhanced the playing experience. Little touches of quality like this make a difference. Separate but Equal: When in the top down view you initiate combat a special screen is brought up featuring side views of the characters performing their attacks. This method is not rare, and may have more to do with the limitations of the platform. It is interesting seeing the combat detail, but some might be put off by the loading time away from the big picture. Thoughtfully there is an option to turn it off, although I did not. Die Another Day… or Now: Normally the possibility of real and permanent death of a character fallen in battle would rank in the good section. It can add to enjoyment paradoxically by encouraging deeper investment. 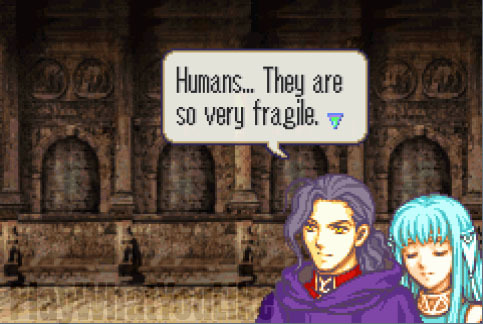 However in Fire Emblem’s case too many uncontrollable factors made death much more common and easy. Restarts and frustration take away from the awesomeness of this game. Asking for (Art) Directions: The portrait art may not be my very favorite style, but it was well done and consistent. The pixel art animations were excellent. However the background environments were just okay. We know this platform is limited, but others have made such visuals more interesting and pretty. We don’t wanna mess with either of them… or is there just one of them? 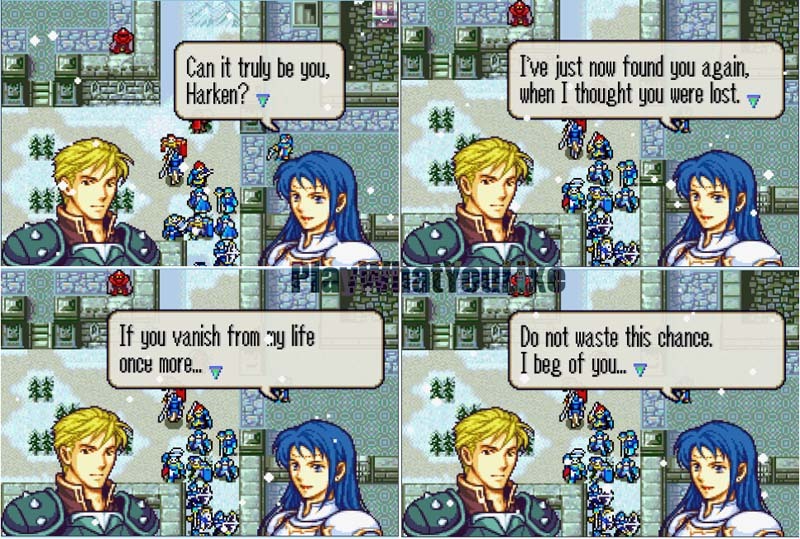 Like some SRPGs, Fire Emblem employs an automatic counter attack. If you attack them and they survive, they will attack you back (if possible). It is more important in Fire Emblem than other SRPGs. Here your hit point count is low and it only takes one encounter gone bad to send a character permanently to the graveyard. Every move both offensive and defensive has to be made with this in mind. If you have a knight for example guarding a pass and he is attacked by a weaker opponent, he can counter and destroy him. However that makes room for another weaker opponent to attack and get destroyed. This can lead to a deadly conga-line of doom for your knight who can eventually succumb to an outrageous number of attacks in one round. Such multiple attacks may also wreak havoc in regards to the finite uses of your warrior’s weapons. You may not have planned on 5 uses in one turn of a rare and perhaps irreplaceable weapon. While auto-retaliation adds plenty of strategic thought, it does come with a price of occasional frustration and added time in restarts. Uh… yeah. It’s like that. 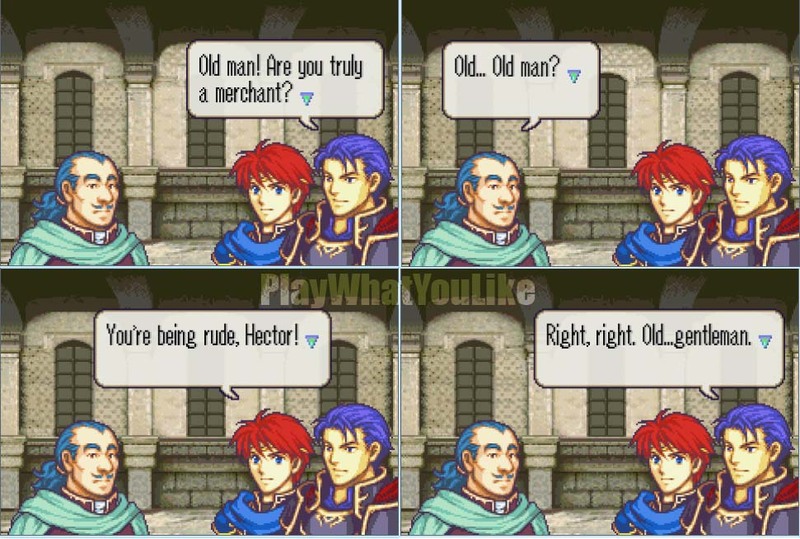 Fire Emblem is hard. It is not for the casual gamer, and may not be for the casual SRPG player. It is not the best entry-level SRPG like Advance Wars or Final Fantasy Tactics Advance. However many of you reading this are fans of the genre and would relish the challenge. 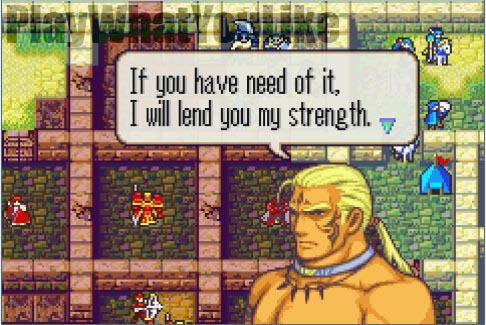 Fire Emblem certainly provides it. I played on “hard” which in retrospect was probably a mistake. I do not like to lose characters, nor restart levels (unless the AI pulls a cheese). So this forced a rather overly cautious and somewhat tedious style of play. Even the regular difficulty would still be hampered by occasional cheaply appearing enemy units and strangely potent enemy power surprises. 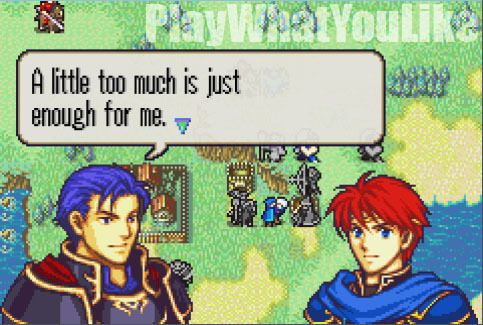 If you allow real character death like Fire Emblem did, all the more care is necessary when adjusting difficulty level. Players should win or lose on strategic decisions, not high powered surprises that force restarts. Nor enemy reinforcements suddenly appearing and attacking your back without your having a chance to to anything but watch. Watch Your Step: Sometimes the top-down map was indistinct in regards to whether a grid square was traversable. 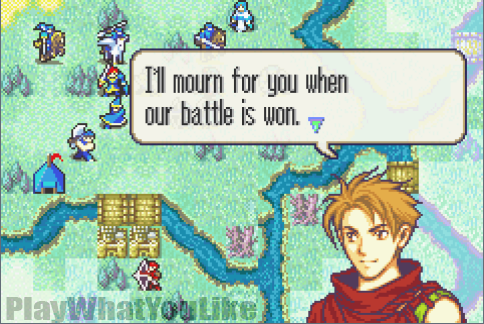 In another game this might not be a big issue, but in Fire Emblem where every move can be a character’s last this proved crucial. It is one thing to lose a warrior because of an unfortunate strategy, it is another because of bad terrain communication. One Part Fog; One Part Ballista; Two Parts No Fun: Some levels employed fog of war which prevented seeing enemy units more than a few grid squares away. Ballistas were weapons that could fire at targets over many grid squares. Some classes were extremely vulnerable to such weapons… Someone around a design table thought this would be fun. They were wrong. Flying Horse (Manure): Sometimes in SRPGs archers get the “shaft”. In fire emblem that award goes to Pegasus Knights who were not very strong to begin with and had an incredibly huge weakness versus arrows. There was just not enough reason to invest in that wasted class. Amulet of… WHAT? : “Oh, but wasn’t there a special amulet that protected units from arrow attacks?” Yes, yes there was. My Pegasus Knight was wearing one when an arrow took her out. &^$@*! How about a special item that means what it says? Then there was “confusion”. In some games this special attack is fun. However Fire Emblem was a system where one hit could permanently kill a character. So some designer thought that an enemy using confusion from a great distance would be fun. It was not fun to watch one of your high-powered heroes cut down a supporting allied character with a single stroke. It was cheap. Morphs… they are so very creepy. 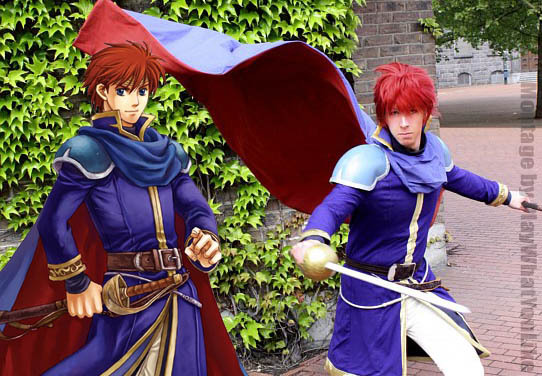 There is a big cast in Fire Emblem. Many of whom you will encounter no matter what. However some require specific actions not easily discerned without a FAQ. I do not like reliance on FAQs. A game should intuitively lead you to encounters and leave you with a choice whether to pursue or not. For example Harken was a dashing and fun character. However he would only offer to join your party if you killed three or less sages on a particular level. Huh? How are we supposed to know that? In a game where you usually win each level by killing all enemies, this is really unlikely to be stumbled upon without a FAQ. It was not like whether or not you decided to help an old lady… THAT would make sense. Some games are like that. Some games make you look back on the time spent with regret (*cough, Ogre Battle 64*). 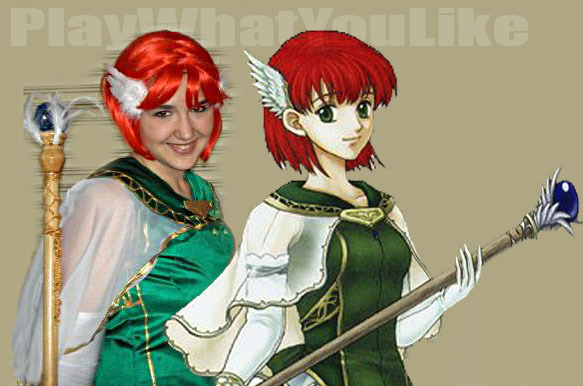 FE7 is not one of those. Even the rather ridiculous amount of hours playing in this case shine. 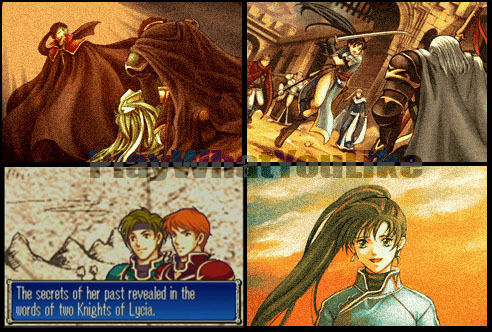 FE7 is one of those rare games where everything came together well and gelled. Every department from design, to art to music to story pulled in the same direction. Would that it was more common, but it is not. 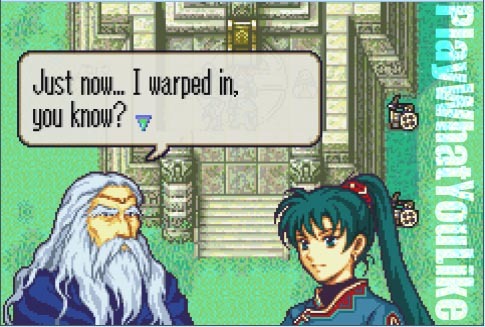 FE8 will have a hard time matching this experience. You WILL feel like you went places and made a difference. The writing transmitted realistic reactions from characters. The makers were wise enough to know when a light throwaway line was called for and when the player may really be moved. Getting player investment into game characters is a laudable goal. If you were not saddened by the fall of your good female spy, perhaps you were playing a different game. The real and permanent death made my style of play where “everyone goes home” difficult. You try playing without restarts and see how you do. Thanks, but I can do it. By whatever means you can, warp yourself into this 2003 game. If you have any love for this genre, and are looking for a quality experience, you will not regret it. I see your completion time was similar to my own. I believe I spent more than 100 hours playing this game making sure I was able to save everyone I cared about and fulfilling the extra campaigns. I’d have to say this game was worth the extra patience and endurance. That is a startling number of characters now that I see all of them in one grid. This game was truly amazing in the sheer number of NPCs or PCs available. This grand, worldwide-feeling helped me enjoy the game that much more. And like you said, having up to 14 or so characters to bring with you on the field does make for long battles, but it expanded the game from merely a unit-based party to a character-based party. Thes units became people, not just generic tanks or healers. That “mini-map” gif is very well made. Bravo, very cool. It’s making me nostalgic for the game. “You are Conceited” — funny and true. I did enjoy being injected into the game and especially being acknowledged by my team. And likewise, I did not want to let any of them fall in battle. The music, whether old school midi or newly arranged orchestral, was fantastic in this game. 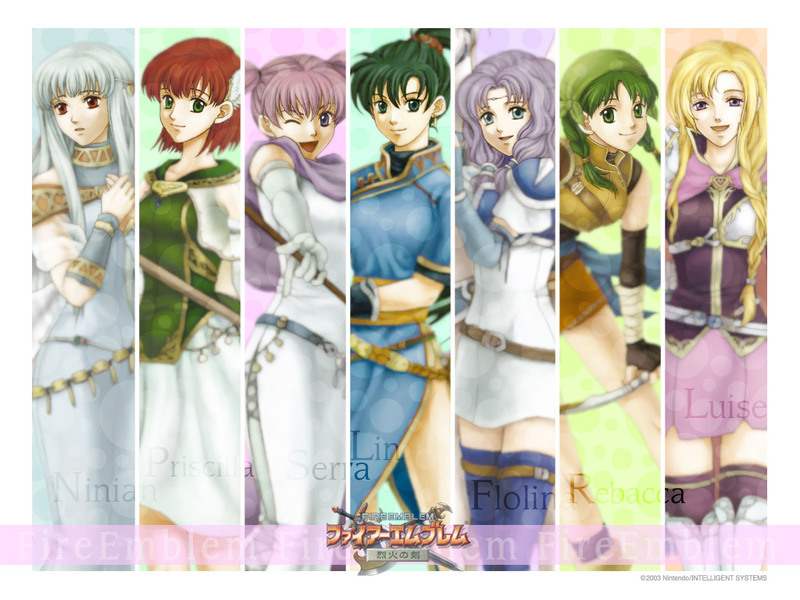 Now that you mentioned it, I need to break out my FE collection and make sure it gets some necessary play time. Perhaps I can listen to it as I do chores. How epic! “Moving Pixels” — Perhaps my favorite part of this game (aside from nicely drawn character portraits). I am 100% about old school pixel graphics. I can’t get enough of them. This game satisfied a longing I had to go back to good ol’ chibi pixels, which in turn gives me lots of great animated gifs to add to my collection. I agree that the art design (on a large and small scale) was beautiful and creative in this game. And yes, how awesome were those animated battle animations. And in your next point about “Talking Heads” I really did get the feeling that these characters were more alive just by the subtle scene actions they took the time to add (i.e. shaking portraits). The story was definitely the driving point for playing the game. The artists and producers did a great job of fitting in scene transitions and plot points between each chapter. Without those elements a great game like this would not have been worth the time. I did enjoy the battle animations immensely, and while time consuming, I think back and am truly glad to have had them. I understand for some it gets tedious (good thing for the on/off setting), but in the end I’d rather spend the time watching the detailed animation. So many games do not spend the creative time to make great animation on such a huge scale as FE. Ahh, I understood the problem too with the counter attacks. I remember having to strategize where I put people, determining whether they could finish off an enemy in one round and hold out in the direct counter if they didn’t finish their opponent that round. Also, if they couldn’t defeat their enemy in that round would they be able to stand a direct attack in the following enemy round. Or another problem– in the following enemy round, an enemy unit might run around to a nearby weaker member of my party and bash them instead! Argh. Yes, there were many restarts on my end. But the nice thing is I think I learned a lot from this game mechanism and mostly thwarted it. PS – great montage of action screen caps! 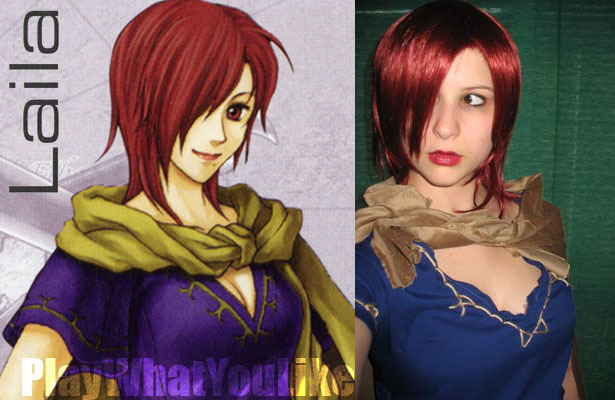 The Serra and Erk screen cap vs. cosplay is my favorite right now. That epitomizes how I thought of Serra in the game as well. Poor Erk! Their bantering is hilarious. Too bad I stopped using her immediately. Perhaps I could have developed their relationship? Shudder at the thought, lol. Rofl…that old lady and her auguries. I miss her frank humor. Nicely placed too, regarding quitters and in the “Bad” category. Noooo, just because there are some bad elements to a game does not mean I would quit. Not when there are so many good elements to counter them. Regarding fog of war: “Someone around a design table thought this would be fun. They were wrong.” Very true and humorously put. I cared little for sending the characters I cared for into unknown parts…possibly their final steps. While I liked the Pegasus Knight class (who doesn’t want a pegasus?) and even thought their battle animations were awesome, I too could never invest time into a single one of them. Instead, I put much of my experience into a Wyvern Knight who was more sturdy in my opinion, but even that flying unit had vulnerabilities. However, at least it was not the ridiculously timid female Pegasus Knight I had grown to dislike after the fourth or fifth time she cringed in a cut scene. Blah. I believe she even said “Eeek!” a few times. A cringing unit is not one I can stand behind or trust. PS – I never got a special amulet to protect my flying units. Darn, I feel gypped, ha. I agree that trying to do the damage math was troublesome for me, especially when I was trying to keep ALL of my units from death. If one died… restart. v_v It would be nice to have a more clear-cut chance of hit. “Morphs… they are so very creepy.” — Nice one! Reading your final thoughts on the game and it made me a little sad, in a good farewell kind of way. I really enjoyed this game and would recommend this to gamers who like heart, strategy, and great art direction. It was a fulfilling game on many levels. Even I, a casual gamer, enjoyed this serious and challenging game. If I can do it, so can anyone. 😉 You won’t find many “gelled” games like this one today. 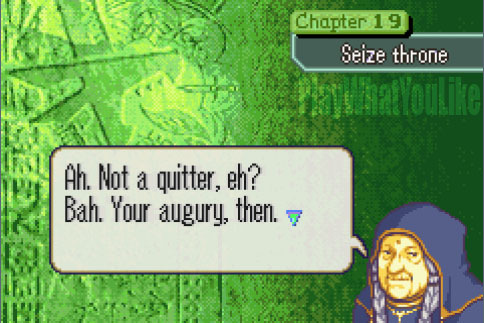 Many current games are either too philosophical, random, disingenuous, and/or silly to truly care for, unlike the characters and plots in FE7. It’s been a fun ride and I enjoyed your game analysis very much. God-speed fellow tactician! Thanks for the detailed and thorough comment! This site is about deeper analysis and you jumped right in with that paradigm. It is interesting and pleasing to interact with others who appreciate the genre and this game in particular. We cannot take credit for that wallpaper at the top. We think it is from Japan, and it is nice. The game was expansive, especially in a GBA package. Yet despite the limitations, as you pointed out, units were not just units, they were characters. Hence our buy-in. Regarding battle animations: They need to be quick. Too slow and they are likely to be turned off. FE hit a good balance. Additionally, since they were characters rather than generic classes or vehicles, there was more reason to watch. Oh, and the fun critical hits. We are glad you noticed our cap placement. We did indeed place the old augury lady after “the bad” on purpose. Regarding using FAQs: Yeah, we like experiencing all the content in a game or having a choice about it at least. Player choice is good! Make it reasonably clear to the player, “Do you want this guy to join your troop? Then do X.” Or something communicated, implied or hinted that makes sense. Not obscure hidden criteria. We feel similarly about branching storylines or sections. We want developers to spend their limited time on content that is going to be experienced by most players, not half. We are glad you appreciated this game and its heart. I’m glad my comments resonated with you. Your analysis definitely reflected much of my own thoughts upon beating the game (and saving the world!). You brought to mind one other “hidden content” trick I do not tolerate: multiple endings that are based too much on hidden criteria. 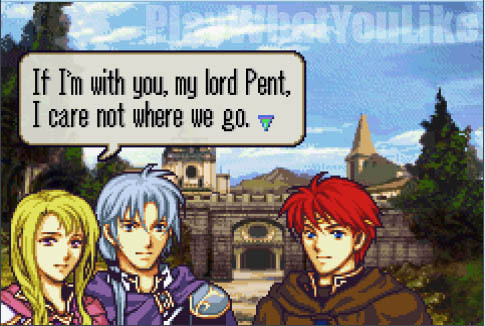 Thankfully FE7 limited this by giving everyone the same ending, but also the option for enriched endings dependent upon how you grew your character relationships. That was pretty fair I thought, and it pushed me to look for those “Talk” dialogues during battle. 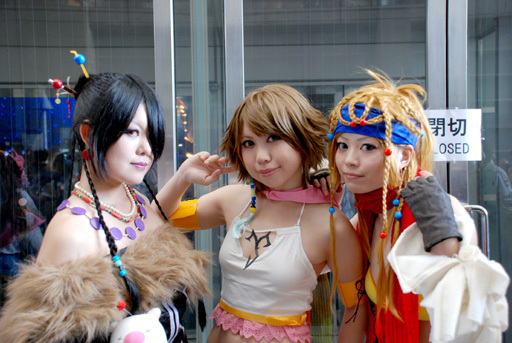 Too bad I didn’t figure out what that meant sooner… To contrast the ending(s) in FE7, just look at Final Fantasy X-2. Had I actually attempted to play the game (and thankfully I never did) I would have been horrified to find that at the end, well… to not ruin it for others, let’s just say 100% perfection was required to get the “good” ending. Hardly worth the ridiculous amount of time when I could just watch the cut-scene on youtube. Nice end picture there. 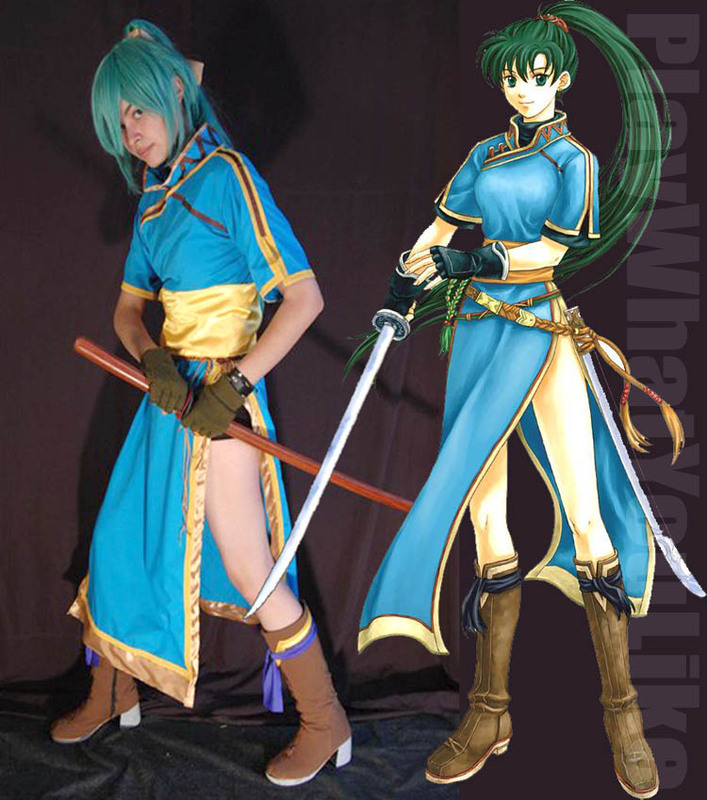 Lyndis says it like it is. 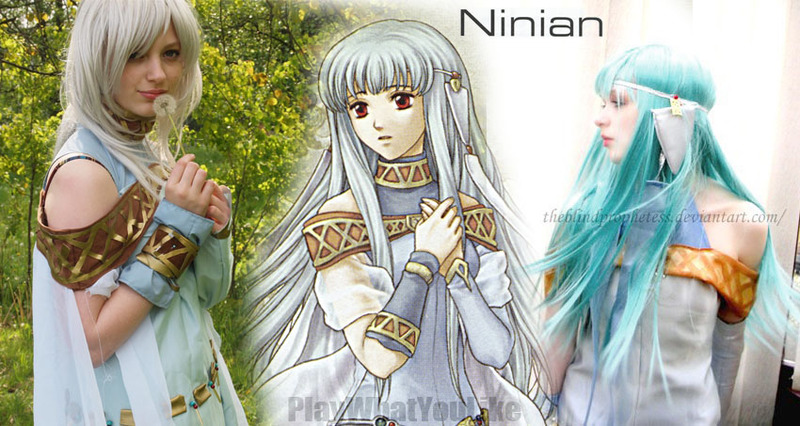 PS – Clever putting Ninian in the “Good and Bad” category. *shudder* Dresspheres: the bane of any good RPG. Please, let’s stick to the tried and true flame swords and magical staffs. At least it’s nice to know there are many RPGs and SRPGs (that I have yet to play) that do maintain standards still today. You have good taste. This game is in our opinion one of the best of the genre. A fine, moving story, well executed. Great music. Just good all around, though a little challenging.